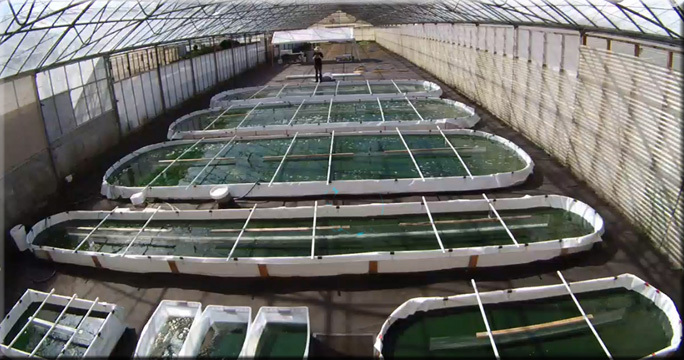 A new smart spirulina microfarm began operation in commercial greenhouses south of the San Francisco Bay Area in 2016. Plenty of room for scaling up new growing ponds over time. 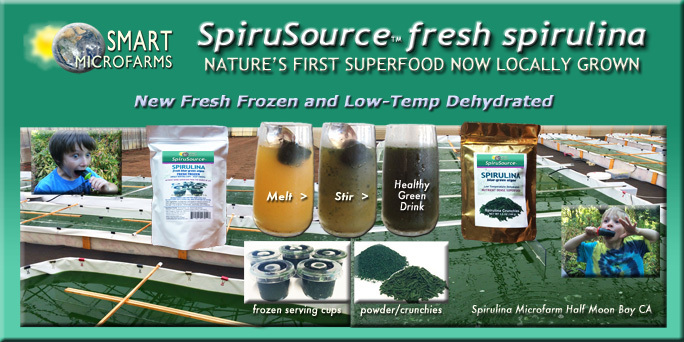 This farm produces fresh spirulina products for the regional California market, including fresh frozen spirulina in individual serving portions and low-temperature dried (“raw”) spirulina in noodle, granule and powder food forms. Also specialty food items including snack bars, chips, pasta, and popsicles. In 2017, Smart Microfarms continues to expand. Pond area, growing systems, harvesting and processing equipment, facilities and infrastructure are added in scalable modules, to respond to growing demand and markets for fresh frozen and low temperature dehydrated spirulina products. Designed for year-round production with insulation, heaters and second covers for the colder season.